Dr. Aleli L. Villanueva is a board certified gynecologist. She has been in practice since 1988, and has extensive experience and training in gynecology, obstetrics, and fertility issues. She has interests in general gynecology, endocrine problems, heavy menses and abnormal bleeding, menopause, contraception, and more. 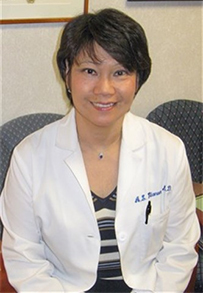 Dr. Villanueva is best known for her genuine care and compassion when caring for her patients.